Well the Teardrop just hit the 10,000 mile mark and it’s asking for a break. The other morning I felt like it was towing a little funny and when I pulled over to the side of the road, I saw that it was listing over to the passenger side. A quick check underneath revealed a sprung spring. How it happened, I’m not sure. I don’t remember hitting anything, although the road in and out of the Lost Coast was pretty rugged. I laid on the roadside, under the Teardrop, long enough to decide it was still road worthy – the axle was fine and the fender was only slightly rubbing the tire – so I pulled a U-turn and towed it 15-miles back to Crescent City, California. Oregon would have to wait. 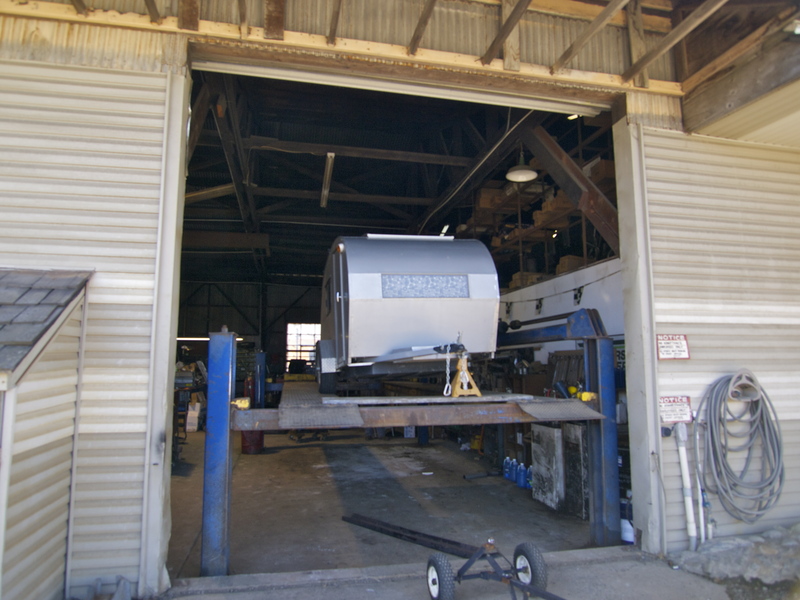 I stopped at the first garage I saw in Crescent City and he sent me another mile down the road to Two Guys Auto, which does a lot of trailer work. Two Guys was awesome. They looked at my rig right away, figured out to make a temporary fix (they bent the spring back and reinforced it with another leaf) and sent me on my way within the hour, a mere $40 lighter. Now I’m reassessing how to lighten the Teardrop load a bit. The springs are rated for 1,000 pounds. The Teardrop weighs about 550 empty and the solar panel and battery added about 70 pounds. I don’t have much in there, just some clothes and random items, nothing heavy, but little things do add up. With the dogs and me in there at night it might come close to that 1,000 pound mark. Anyway, Egon, who built my Teardrop from scratch in his garage, was pretty upset that it let me down. I assured him upgrades and repairs are to be expected, driving as much as I do on the kind of roads that I take. It was not big deal and it can always be a lot worse! He’s insisting on paying to upgrade the springs to the next weight class up. Nothing beats buying from a craftsman! I made it into Oregon! 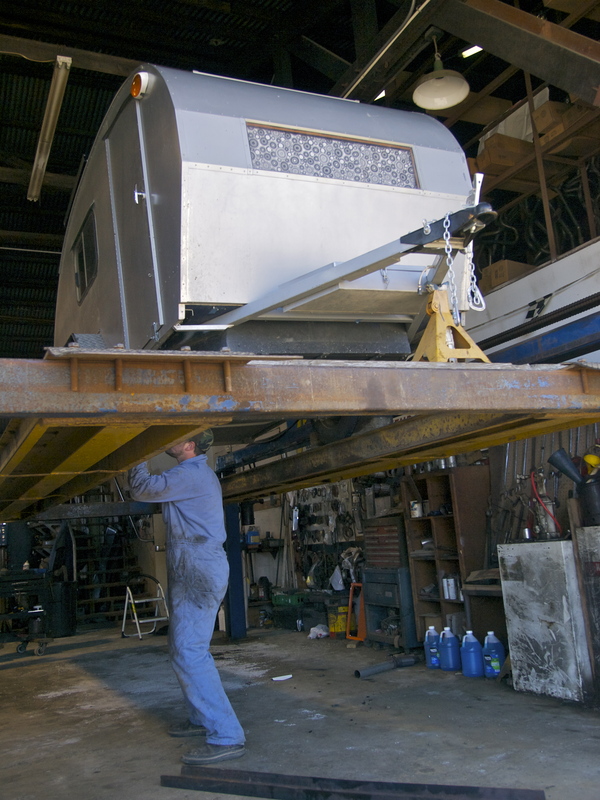 This entry was posted in Road tripping!, Uncategorized, Vagabonding 101 and tagged repairs, Teardrop trailer. Bookmark the permalink. 12 Responses to Teardrop Trouble! While repairs are expected, it seems there is never a good time. What good fortune you had to find a good repair man! Travel Safe! Oh Dear Mary, these things come along just when you don’t need them. Those two guys certainly wanted you to continue your journey as much as you did. Can’t wait for your Oregon post,take care keep safe. Glad you are back on the road again. I enjoy reading about your adventures. Thatta girl…don’t let anything get you down. Even tho i’m wayyyyy older than you, you are my heroine. Move over Buffy, I have a new mentor…LOL. Haha thanks Joni. Flashback to when I was Buffy for Halloween! YAY! You made it to Oregon. Glad the teardrop is running again. You will love it in Oregon. I might be a bit biased, considering I live here, but it is the best place in the world to live. It is a beautiful state. I hope you have a wonderful time here. 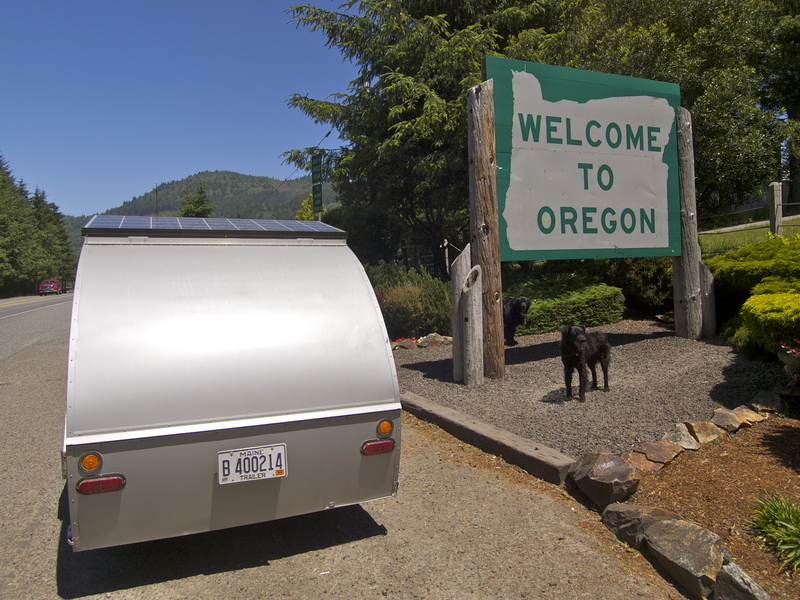 Are you heading anywhere toward Portland? Thanks Louise! I love Oregon too. I lived near Corvallis for a year after college and coming back here always feels a bit like coming home. I might be going up towards Portland. My editor lives there and we rarely get to see each other in person. Any tips? I was kinda wondering how the TD was dealing with some of the roads you’re on. You did good…probably just smacked it a little to hard on that lost coast road. Get ready for Alaska with new springs. Had a friend with a holiday rambler trailer that required a completely new suspension by the time Alaska was done with it 😉 glad you were near civilization and are good to go now. See the gardens in Portland…beautiful. You might want to consider installing some coil-over gas shock absorbers. They’d increase the load rating and some of them are adjustable for different loads.